IFC offers three different programs – IFC-Rec, IFC-Comp, and IFC-X – tailored to each soccer player's goals, age, experience, and skill set. Our recreational teams compete in the Fall and Spring leagues organized by SF Youth Soccer. The teams are usually, but not always, composed of children attending the same school or who live in the same neighborhood. During the season, IFC-Rec teams practice once a week at a field that is conveniently located for the players. IFC provides Rec teams with a trained "practice coach". The team appoints a volunteer "Head Coach" who is in charge of league-organized weekend games. IFC prepares the volunteer coach with curriculum and training, and helps with the necessary credentialing. Each team also appoints a "team manager" (can be the head coach) for team organization. At least one team parent must be in attendance at every practice. IFC-Rec teams are not required to wear official IFC playing kits (though they can) but must register with SF Youth Soccer using "IFC" as part of the name. IFC-Rec players have opportunities to train and play-up with IFC-Comp teams, and to move permanently to Comp teams through the course of their development. IFC-Rec players are eligible for free and low-cost winter clinics, weekly summer camps, and regular supervised free-play pick up soccer games. IFC-Rec cost to families: Families are asked to cover the cost of league and referees fees ($160 per year) which can be waived through a simple financial aid request. Playing uniforms, soccer cleats and shin guards are also the responsibility of each family (though the team or the club can help defray those costs). In addition to the required fees, families are asked to make a donation to support the IFC mission of access and excellence. Donations help with our ambitious scholarship program, coaching support, practice trainers, player clinics, team equipment, and club administration. 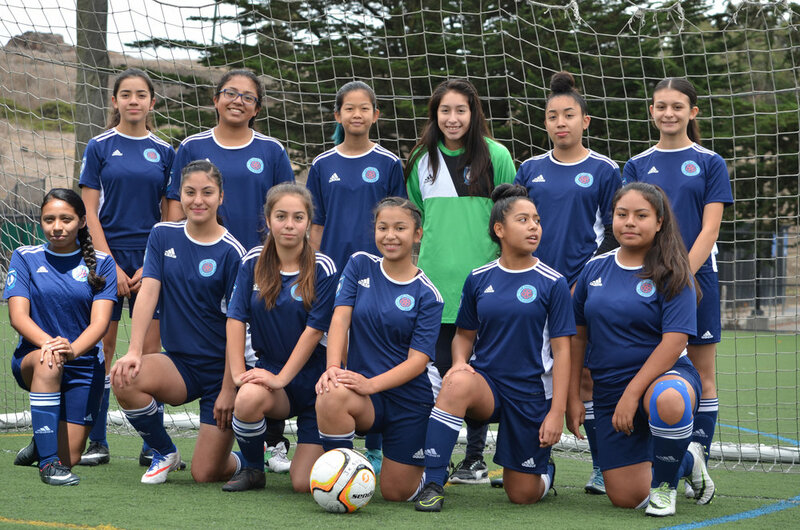 IFC-Comp teams play in Fall and Spring leagues organized by SF Youth Soccer (up to U15), and by California Youth Soccer Association (CYSA) for older players. Teams practice once or twice a week dependent on SFRPD assignments. IFC-Comp is organized in much the way clubs throughout the soccer-playing world operate their children's divisions, almost always free to families. Each team is assigned a well-trained volunteer (usually a parent) to be Head Coach during weekend games. During the week, players participate in well organized, rigorous, progressive group trainings with players of similar age and development. 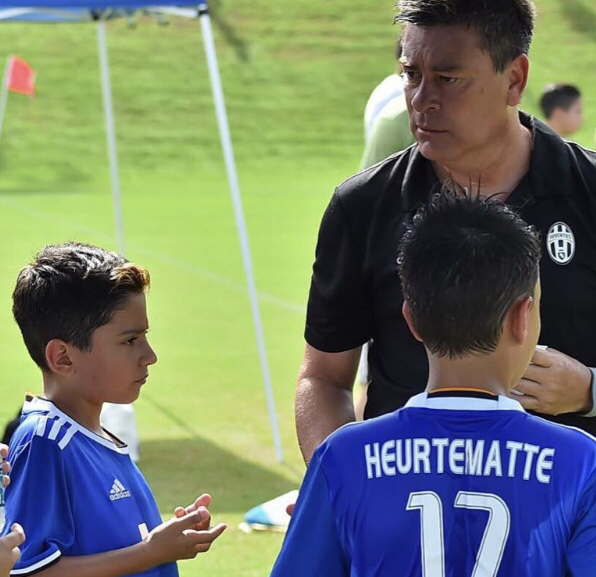 Practices are led by professional, experienced coaches and trainers, with backgrounds spanning many levels of soccer (Juventus youth academies, Real Madrid youth academies and San Francisco's solid SF Elite Academy, among them). Each IFC-Comp team appoints a "team manager" (can be the head coach) for team organization. IFC-Comp players are required to wear IFC's official home and away jerseys, shorts and socks, as well as an IFC training tee to all practices. IFC-Comp cost to families: Families are asked to cover the cost of league and referees fees ($210 per year) which can be waived through a simple financial aid request. Playing uniforms, soccer cleats and shin guards are also the responsibility of each family (though the team or the club can help defray those costs). In addition to the required fees, families are asked to make a donation to support the IFC mission of access and excellence. Donations help with our ambitious scholarship program, coaching support, practice trainers, player clinics, team equipment, and club administration.Teams will be responsible for raising the funds to cover tournament registration fees, though the club may be able to help in fund-raising. Contributions are tax-deductible and can be made in lump sums or in recurring monthly donations. Our newest program, IFC-X, is geared towards more experienced and developed athletes looking for the most challenging play and for a chance to move up the soccer pipeline to Academy levels , college and beyond. IFC-X will play at gold levels and above (with some possible exceptions) as well as competitive tournaments against the top clubs in the state. IFC-X is only for fully soccer-committed players and families. Each team is assigned an experienced and well-credentialed professional coach who will oversee at least two trainings a week and all games. Each IFC-X team appoints a "team manager" (not the head coach) for team organization. IFC-X players are required to wear IFC's official home and away jerseys, shorts and socks, as well as an IFC training tee to all practices. IFC-X jerseys will include an "X" sleeve patch. IFC-X players will be eligible for free and low-cost winter clinics, weekly summer camps, and extra games. IFC-X cost to families: Families are asked to cover the cost of league and referees fees (which can be waived through a simple financial aid requests) and to pay for the coach. This is about $750 per player per year Playing uniforms are also the responsibility of each family. In addition to the required base fees, families are asked to make a donation to support the IFC mission of access and excellence. Donations help with our ambitious scholarship program, coaching support, player clinics, team equipment, and club administration. Contributions are tax-deductible and can be made in lump sums or in recurring monthly donations. For IFC-X Teams, the out-of-pocket per-player cost each year (two seasons, before tournaments) is about $750, which covers league registration fees for Fall and Spring leagues, a professional coach through the seasons. (Uniforms are extra). Teams are responsible for raising the funds to cover tournament registration fees. Independent FC is a tax-exempt California non-profit 501c3 corporation.